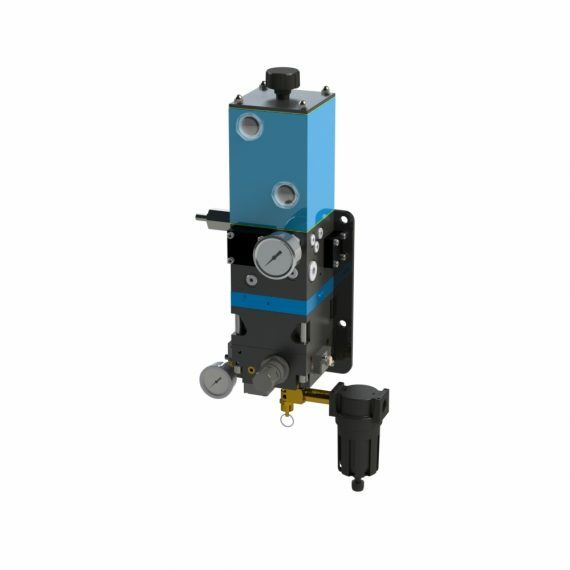 This family of compact, two stage pumps are assembled from standard modular components. The proper combination of hydraulic and electrical controls provide a hydraulic power source to suit most needs. Power Unit is supplied with air filter/regulator. HCR-PA-11510 solenoid valve, 110 VAC, 2 pos. 4 way, N.O. HCR-PA-11610 solenoid valve, 24 VDC, 2 pos. 4 way, N.O. 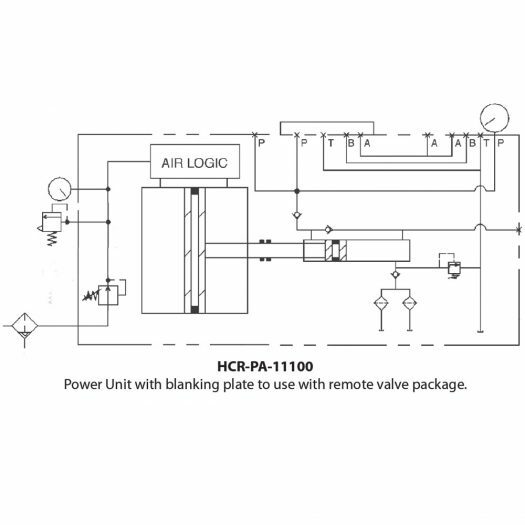 HCR-PA-11100 Power unit blanking plate to use with remote valve package. 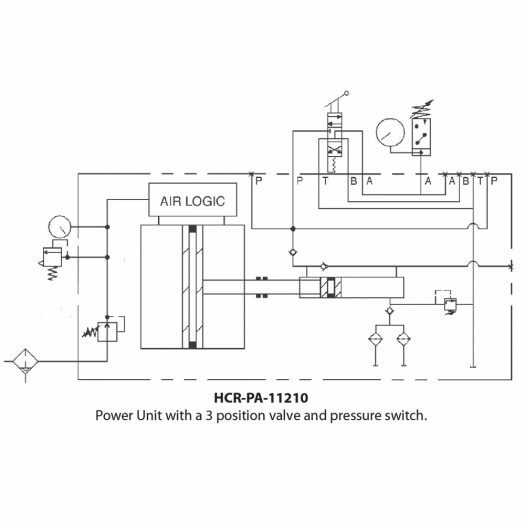 HCR-PA-11210 Power unit with a 3 position valve and pressure switch. 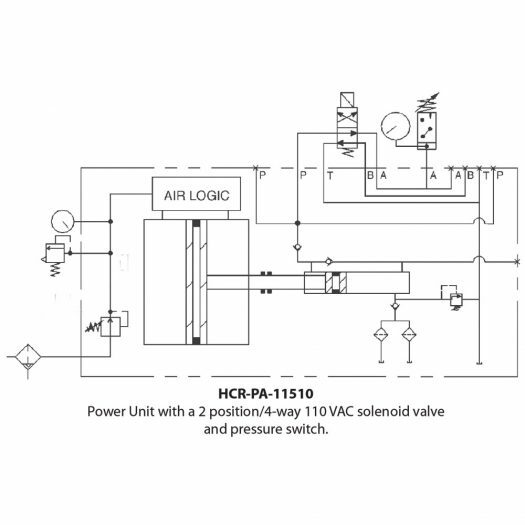 HCR-PA-11510 Power Unit with a 2 position/4-way 110 VAC solenoid valve and pressue switch.